There is evidence to suggest that patients with history of periodontitis are not necessarily at risk of losing their implants prematurely, however they may be at a higher risk of developing long-term peri-implant bone loss compared with patients with no history of periodontal disease. 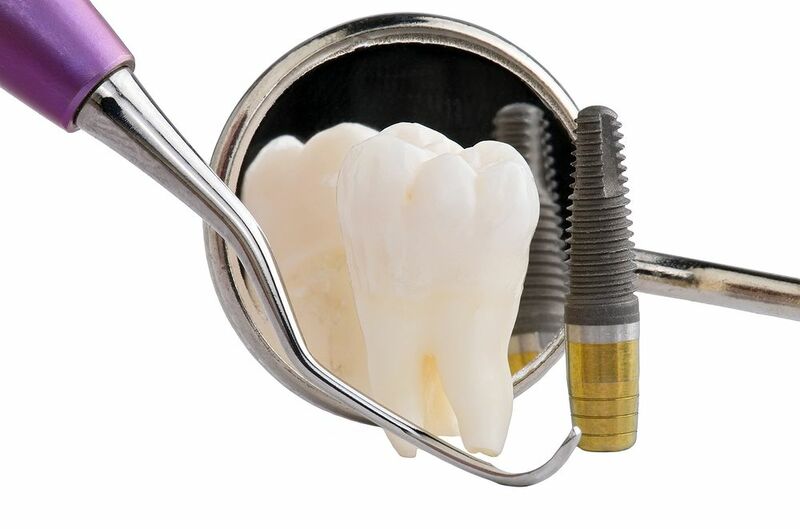 A direct cause-effect relationship has been demonstrated between plaque and peri-implant disease with identical microflora being present around teeth and implants. Host response is modified by many factors including genetics, systemic conditions such as uncontrolled diabetes, medication including bisphosphonates, heavy smoking and immunosuppression. Higher the host susceptibility, the more meticulous the plaque control and maintenance should be. Identification and control of co-morbidities such as diabetes forms an essential part of management of these patients. As adequate oral hygiene and plaque control is one of the most fundamental factors influencing the longevity of dental implants, ideal prosthetic design should not impede the provision of optimum home care and professional maintenance. There is also emerging evidence that overloading can potentiate plaque-induced peri-implant bone loss. Occlusal integration should therefore be planned and maintained meticulously to reduce the risk of overloading by minimising interferences and premature contacts. This applies to any future restorative treatment that could potentially alter the occlusal harmony. Ligature-induced periodontitis in dogs found that the surface roughness of the implant may effect the susceptibility to periimplant disease. However systematic reviews did not reveal significant difference in survival rates between different implant designs or surfaces. Smoking, systemic disease, medication, osteoporosis and bone quality and density are some of the factors that could affect the long-term prognosis. Motivation is one of the most important factors that could affect the long-term outcome of implant treatment as it directly influences how well the implants are maintained in function. Dental professionals should therefore be actively involved in increasing patient education and motivation.